Are you looking to purchase toys for a birthday or Easter? 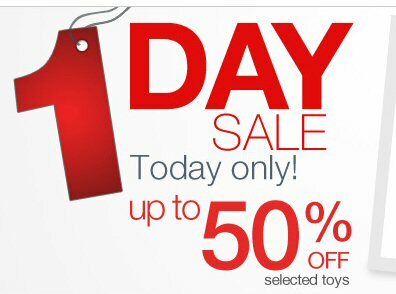 Well Sears has a sale on right now that can save you up to 50% off selected toys. You can save on toys such as Barbie, Fisher Price, Angry Birds, Star wars, Batman, Cars, Hello Kitty and more. There is quite a nice selection, you are sure to find a great deal to take advantage of.